At San Fernando Dental Care, we offer a wide variety of treatment plans designed to support the healthy structure of your smile. Whether you need pre-treatment before implant placement or require wisdom teeth removal, we provide personalized care and prioritize your comfort during procedures. For those who wish to renew their smiles with dental implants but lack the bone structure required to be considered a viable candidate, bone grafts, and sinus lifts are available from our office. These procedures create the ideal foundation for implant placement and help prevent the prematurely aged aesthetic many patients experience after tooth loss. To restore your smile after tooth loss, we both place and restore dental implants. These titanium posts effectively replace original teeth and roots and prevent damage to your jawbone and surrounding teeth by stabilizing bone. Unlike traditional restorations, those retained by implants interact directly with underlying tissues and structures. Once the implants have healed, our porcelain restorations complete your new smile and offer the same benefits as natural teeth. Porcelain is highly durable and resembles natural enamel, which allows your smile to remain uniform after treatment. If you’re experiencing mild to moderate cosmetic concerns, such as discolorations, our whitening services brighten the shade of your smile just in time for a big event or at your own leisure at home. Patients often add whitening treatments to their restorative care plan so their new prosthetics can be matched to bright natural teeth. At San Fernando Dental Care, our team works with patients experiencing a wide variety of cosmetic dental problems. Our extensive services transform smiles throughout San Fernando, whether you’re seeking aesthetic teeth replacement or surgical treatment to improve your health. 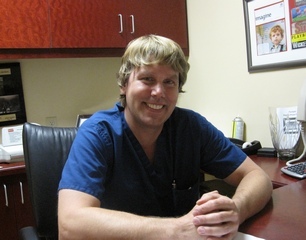 To schedule a consultation with Dr. Anderson, call our office today!